to deal with problems they are likely to face. 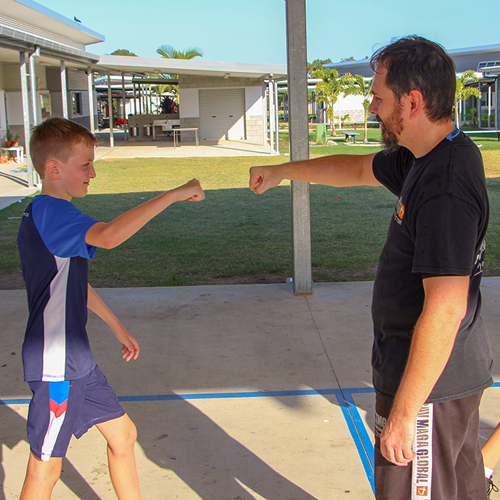 Whilst we do practise strikes and kicks, our main goal is to avoid a physical confrontation, so we teach awareness, de-escalation, and avoidance as primary methods of improving safety. The system (Krav Maga Global) is currently used by numerous security, law enforcement and military agencies around the world. Obviously, our kids curriculum has been modified to be age-appropriate, but the underlying principles are the same. Did We Mention Our Classes Are Fun? Play based learning is key to aiding skill acquisition and retention. 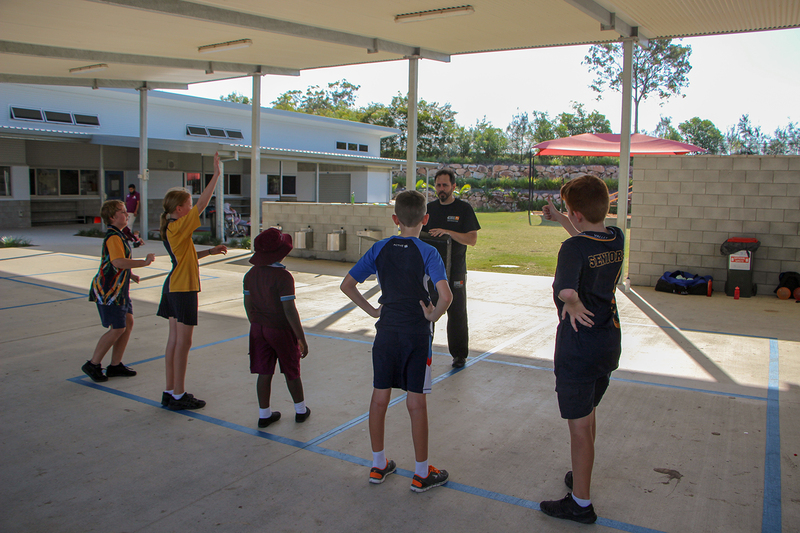 Our dynamic classes are filled with games and fun drills to keep young students engaged. We discuss and role play scenarios so that our students know when to use what they’ve learned. In addition to all the well-known benefits of exercise (improving strength and balance through to fitness and flexibility), there is also growing evidence that active kids find it easier to study and regulate their mood. We’re happy to contribute towards your kids being calmer, smarter, and healthier! Adult small group or private classes can be organised after our kids classes by prior arrangement. These are great ways to accelerate your training or get you started towards your specific self defence and fitness goals. Please call us or fill in our contact form for more information or to book your session. Yes! I'd like to sign up my child to receive self defence classes at Clayfield. First 3 classes for $30 sounds awesome! … And are capable of different solutions. To cater for the different needs and growing capabilities as children get older, our classes are divided by age. To ensure optimal focus, retention and safety, the two younger classes run for 45 minutes each, while the young adult class is 1 hour long. Children aged 5-9 years start at 3:45pm (45 mins). Kids aged 10-14 years start at 4:30pm (45 mins). Young adults aged 15-18 years begin at 5:15pm (1 hour). even something as fundamental as treating others (and yourself) with respect. Stacy does a great job! He’s got the balance of pushing and encouraging just right. 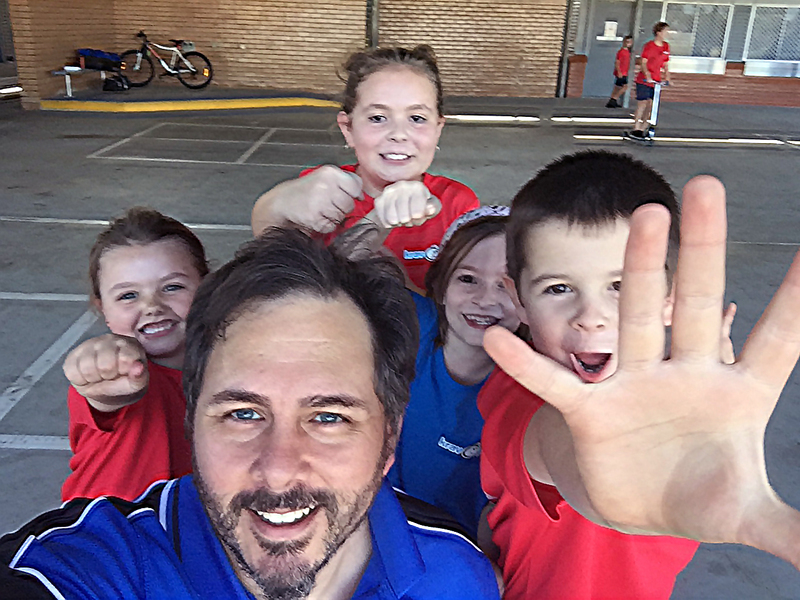 My kids have a great time, are learning important skills and mindset, and are developing confidence in themselves and their abilities. My son gave up soccer and we decided to do something else so a friend recommended Kickstarters. It was great! We took the 3 lesson trial and we will be back! My son loves it and has fun as well as learning how to protect himself and so much more at the same time. Stacy is a fantastic instructor and does a great job teaching the kids. 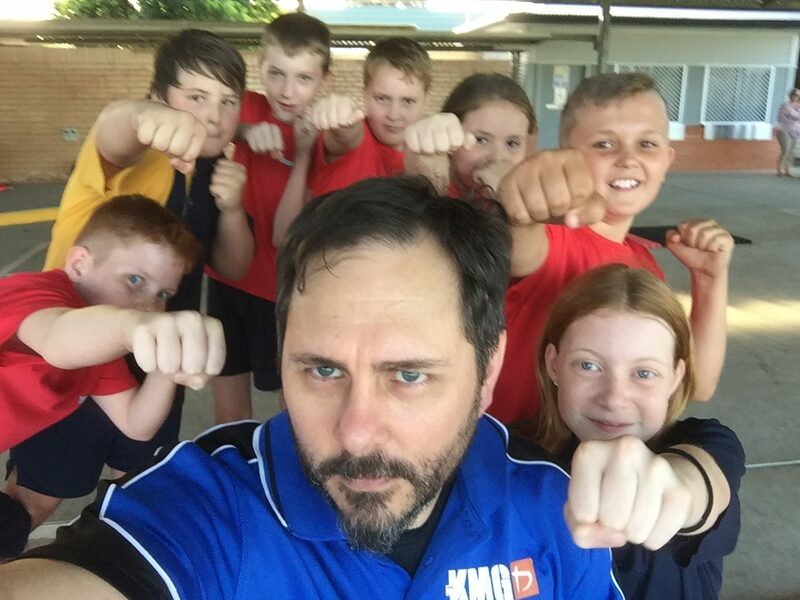 My kids have learnt some great self defence moves that are required in modern life. It builds their confidence and resilience. I highly recommend these classes.